Czech eighth seed Karolina Pliskova saved eight break points to beat Ashleigh Barty in straight sets and reach the US Open quarter-finals. The 2016 finalist broke in the opening game of the first set and the third game of the second to win 6-4 6-4. 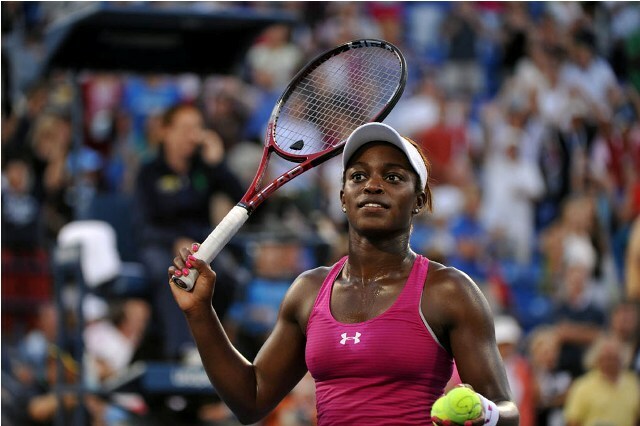 But she withstood plenty of pressure from the Australian 18th seed. Pliskova will face either American 23-time Grand Slam champion Serena Williams or unseeded Estonian Kaia Kanepi for a place in the last four. One day shy of his 25th birthday, Dominic Thiem rewarded himself with an early gift on Sunday at the US Open. The ninth-seeded Austrian, appearing in the Round of 16 for the third time in four visits, hit 41 winners compared to 13 unforced errors to eliminate 2017 finalist Kevin Anderson 7-5, 6-2, 7-6(2) on Louis Armstrong Stadium. Having lost his opening six FedEx ATP Head2Head meetings against the South African, Thiem has now won both his clashes against Anderson this year. The World No. 9 also defeated Anderson en route to his second straight Mutua Madrid Open final in May. Thiem had never reached a Grand Slam quarter-final away from Roland Garros prior to beating Anderson in three sets. The Austrian was appearing in his sixth Grand Slam fourth round outside of Paris, having also reached the Round of 16 at the Australian Open (0-2) and Wimbledon (0-1). Thiem will meet World No. 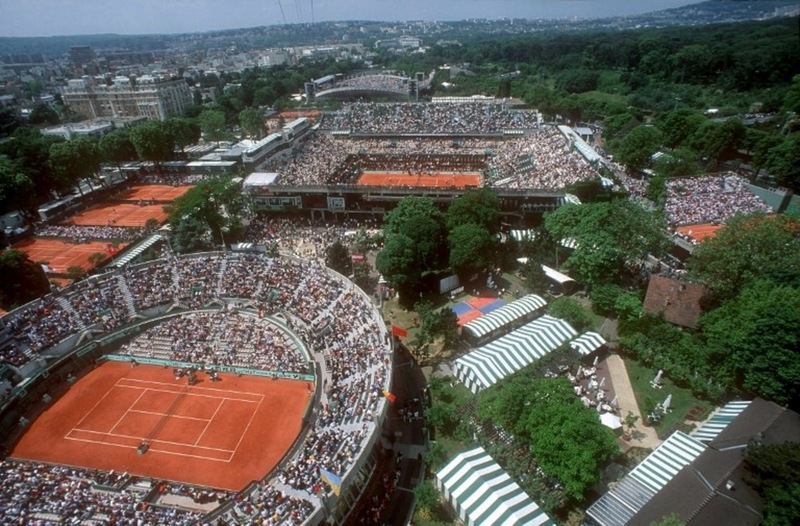 1 Rafael Nadal in a repeat of this year’s Roland Garros final, or Georgian Nikoloz Basilashvili, for a semi-final spot. Thiem trails Nadal 3-7 in their FedEx ATP Head2Head series and lost his only previous FedEx ATP Head2Head encounter against Basilashvili last year in Sofia. Following 10 consecutive service holds, Thiem stepped up his aggression on his forehand side to great effect at 5-5. The 24-year-old hit his targets, pushing Anderson back in the court before finding the lines to seal the first break. After serving out the set to 30, Thiem continued to ride the momentum in the second set. The 10-time tour-level titlist won eight of the opening nine points to take a 2-0 lead before doubling his advantage with a second dominant return game to move 5-2 ahead. Faced with the prospect of a third five-set match in four rounds, Anderson continued to fight throughout the third set. The South African saved the only break point of the set, at 3-3, en route to a crucial tie-break. From there, Thiem, once again, controlled rallies on his forehand side. The Austrian hit with precision and power to take a 6/2 lead and converted his first match point with a delicate, chipped backhand to outfox Anderson at the net. Two-time Grand Slam finalist Anderson was bidding to reach his third US Open quarter-final in four years at the USTA Billie Jean King National Tennis Center. The World No. 5, who drops to 22-9 in Flushing Meadows, also reached the last eight in 2015 before his run to the final last year (l. to Nadal). Novak Djokovic stayed on course for a quarter-final meeting with Roger Federer after beating France’s Richard Gasquet in straight sets to move into the US Open last 16. Sixth seed Djokovic, US Open champion 2011 and 2015, won 6-2 6-3 6-3 on Arthur Ashe Stadium. It was his 13th victory over Gasquet in 14 career meetings. “It was a great match from the beginning to the end,” said Djokovic, who will next face unseeded Joao Sousa. If he beats the Portuguese, the world number six could face second seed Federer in the quarter-finals. The Swiss takes on Australia’s John Millman in his fourth-round match. Djokovic cruised through the first two sets against Gasquet, 32, but had to fight off two break points when 3-2 up in the third. He let out a roar after coming out on top in a rally that had the stands rocking. “Obviously in the third set Richard raised his level. The crowd was amazing toward the end of the match, it was a real night session match here at the US Open,” added the Serb. Portuguese Sousa upset 17th seed Lucas Pouille of France 7-6 (7-5) 4-6 7-6 (7-4) 7-6 (7-5). Former champion Marin Cilic reached the fourth round after a tough match against 19-year-old Australian Alex De Minaur that finished at 2:22am local time – one of the latest finishes in the history of the US Open. The Croat clinched a 4-6 3-6 6-3 6-4 7-5 victory on his eighth match point against De Minaur, who has risen rapidly this season. Cilic praised his opponent’s “incredible fighting spirit”. 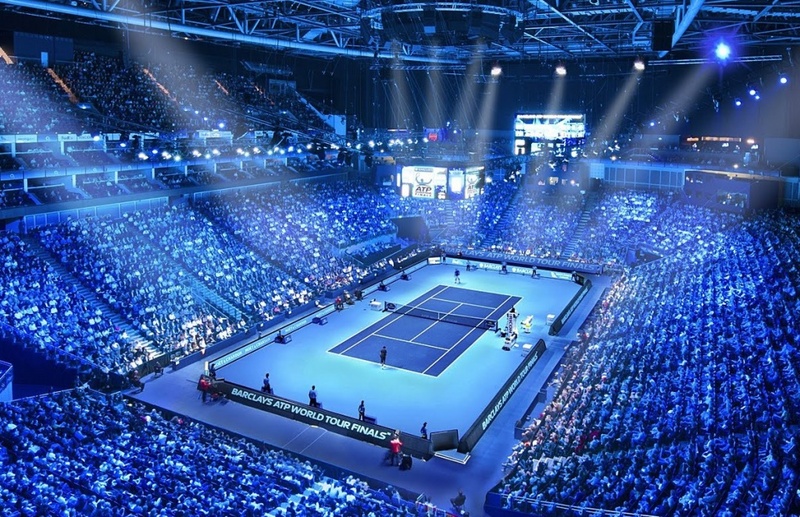 The match was just four minutes short of the record for the latest finish of 2.26am, which has happened on three occasions – between Mats Wilander and Mikael Pernfors in 1993, Philipp Kohlschreiber and John Isner in 2012 and Kei Nishikori and Milos Raonic in 2014. Cilic will face 10th seed David Goffin on Monday. Angelique Kerber and Petra Kvitova were both knocked out of the US Open on Saturday, leaving defending champion Sloane Stephens as the sole remaining top-six seed in the women’s draw. Wimbledon champion Kerber was beaten 3-6 6-3 6-3 by Slovak 29th seed Dominika Cibulkova in the third round. Two-time quarter-finalist Kvitova lost 7-5 6-1 to in-form Belarusian Aryna Sabalenka. None of this year’s Grand Slam winners are now left in the women’s singles. French Open champion Simona Halep was knocked out by Kaia Kanepi in the first round, while Australian Open champion Caroline Wozniacki experienced a shock second-round loss to Ukraine’s Lesia Tsurenko. Kerber broke three times in the first set but Cibulkova repeated the feat in the second to take it to a decider. The German fourth seed, 30, was then broken again twice in the final set and misses out on a last-16 tie with last year’s finalist Madison Keys. American 14th seed Keys, runner-up to Stephens last year, recovered from a set down to reach the last 16, beating Serbia’s Aleksandra Krunic 4-6 6-1 6-2. Keys, 23, was broken in her first service game of the match en route to losing the first set but broke twice in the second set to take it to a decider. The first five games of the third set went against serve before the American held for 4-2 and closed out the match. 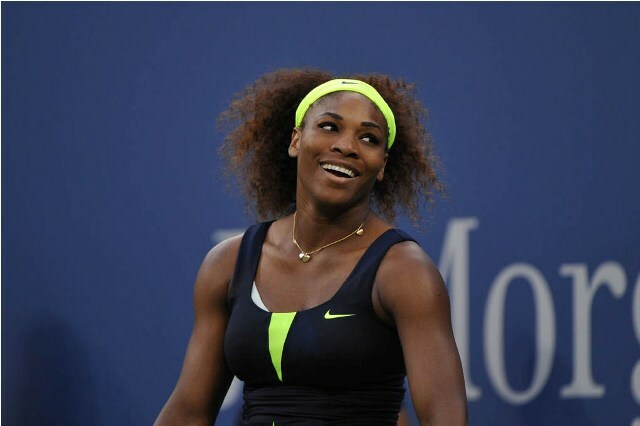 “I was definitely a little bit nervous and she came out playing really well and put pressure on me from the start. I am just happy to be in the next round,” Keys, 23, said. Sabalenka warmed up for Flushing Meadows with a first career title at New Haven and came into the tournament at a career-high world ranking of 20th. The 26th seed hit 21 winners to defeat Czech fifth seed Kvitova, 28, and will face fellow 20-year-old Naomi Osaka, for a quarter-final spot after the Japanese 20th seed thrashed Belarusian Aliaksandra Sasnovich 6-0 6-0. Kvitova’s exit also means just three of the top 10 women’s seeds made it into the fourth round, with Ukraine’s Elina Svitolina (seeded seventh) and Czech Karolina Pliskova, the eighth seed, both through. Another high-ranked departure was French sixth seed Caroline Garcia, conqueror of Britain’s Johanna Konta in round one, who lost 5-7 6-4 7-6 (7-4) to Carla Suarez-Navarro. After taking the first set, Garcia was broken in the opening game of the second set and could not find a way back, before losing a tight third set on a tie-break. Spanish 30th seed Suarez-Navarro will face Russian former champion Maria Sharapova after she beat Latvian 10th seed Jelena Ostapenko 6-3 6-2. Elsewhere, Dutch 13th seed Kiki Bertens was knocked out by Czech Marketa Vondrousova 7-6 (7-4) 2-6 7-6 (7-1). Novak Djokovic walked onto the court inside Arthur Ashe Stadium on Saturday evening having won his past 10 third-round clashes at the US Open. And it was clear from the get-go that said streak would not be coming to an end. The two-time US Open champion cruised past No. 26 seed Richard Gasquet 6-2, 6-3, 6-3 to reach the fourth round in Flushing Meadows for his 11th consecutive appearance. In each of those tournaments, Djokovic has advanced to at least the semi-finals. It is the continuation of a tremendous stretch for the Monte-Carlo resident. After beginning the 2018 campaign 6-6 as he recovered from a right elbow injury — which forced him to undergo a procedure after the Australian Open — the Serbian has tallied a 30-4 record. Perhaps the main highlights of that run came at Wimbledon, where he earned his fourth title, and at the Western & Southern Open in Cincinnati, where the 31-year-old completed his Career Golden Masters, winning the only ATP World Tour Masters 1000 event missing from his resumé. If Djokovic is going to stumble ahead of a potential quarter-final clash in New York against No. 2 seed Roger Federer, he certainly has not shown any signs. The World No. 6 dropped a set in each of his first two matches against Marton Fucsovics and Tennys Sandgren, but he has yet to truly find himself in trouble. And his best performance of the tournament thus far came against Gasquet. Djokovic was ruthless from the baseline, hitting high, heavy balls — especially off the forehand wing — to keep the 2013 semi-finalist well behind the baseline throughout. From there, Djokovic did a good job of maintaining variety, from hammering away until Gasquet could no longer adequately defend to using his drop shot here and there. Djokovic saved all five break points he faced in the match, including three in the third set. He advanced after two hours and 11 minutes, setting a fourth-round class against Portuguese No. 1 Joao Sousa, who upset No. 17 seed Lucas Pouille 7-6(5), 4-6, 7-6(4), 7-6(5). Sousa triumphed on home soil earlier this season at the Millennium Estoril Open. Djokovic leads their FedEx ATP Head2Head 4-0, winning each of their sets by a margin of 6-4 or greater. Even the big names admit to getting a little star struck. So when Juan Martin Del Potro met rock legend Bruce ‘The Boss’ Springsteen after a show on Broadway last week, it became a meeting that would go on to fuel his ninth US Open campaign. The No. 3 seed notched his 40th win of the season on Friday night with a tight straight-sets victory over Andy Murray’s conqueror, No. 31 seed Fernando Verdasco. It set a Sunday showdown with 21-year-old Croatian Borna Coric and if the Argentine felt those Springsteen vibes again it could spell a tough night for the fourth-round debutant. The 2009 champion remains the only player in the top half of the draw yet to drop a set and he will bank on his experience, having claimed 12 of 15 fourth-round matches in Grand Slams. Coric has broken new ground in New York, passing the third round of a Grand Slam for the first time with his straight-sets defeat of 22-year-old Russian Daniil Medvedev. 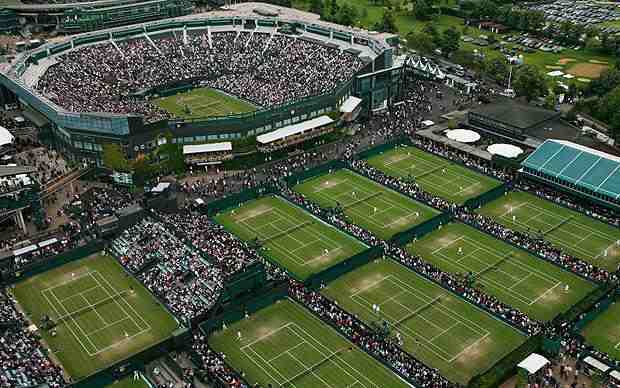 The Croatian has struggled since winning his first grass-court title over Roger Federer in Halle in June, winning just two of six matches since, including a first-round defeat to Medvedev at Wimbledon. This will be his first showdown with Del Potro. Another fourth-round debutant, Georgia’s Nikolaz Basilashvili, will feature on Day 7 in Arthur Ashe Stadium when he meets World No. 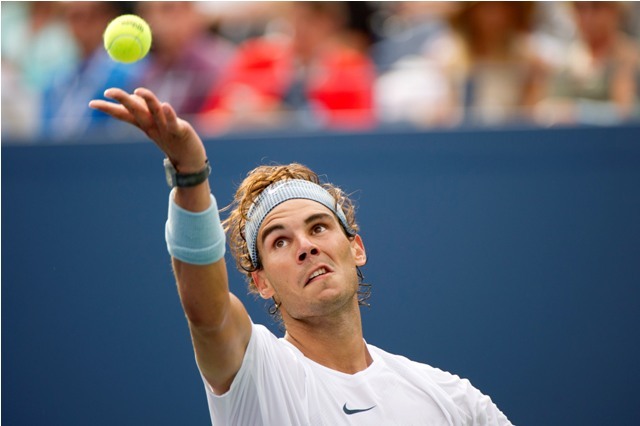 1 and defending champion Rafael Nadal in the first match on. The Tbilisi native followed up his upset of American No. 18 seed Jack Sock with a four-set triumph over Argentine Guido Pella on Friday. He will be keen to erase memories of his lone prior FedEx ATP Head2Head encounter with the Spaniard. Nadal conceded just one game in a third-round clash en route to his 10th Roland-Garros title in 2017. Since falling to Dominic Thiem in the Mutua Madrid Open quarter-finals in mid-May, Nadal has lost just one match, to Novak Djokovic in the Wimbledon semi-finals. He survived arguably the highest-intensity clash of this year’s tournament so far to outlast 22-year-old Russian Karen Khachanov in a four-hour, 23-minute showstopper on Friday. The Spaniard, who won his fourth Rogers Cup in Toronto leading in, recovered from a set and a break down to turn the tables on Khachanov. After his surprise run to the final of last year’s US Open, Kevin Anderson has proved in 2018 it’s no flash in the pan. The South African No. 5 seed won his first title since 2015 at the New York Open in February and reached his second Grand Slam final within 12 months at Wimbledon, where he fell to Novak Djokovic. Anderson has survived two five-setters already this campaign – against Ryan Harrison and #NextGenATP Canadian Denis Shapovalov. He will carry a 4-1 FedEx ATP Head2Head record into his clash with No. 9 seed Dominic Thiem. The Austrian is searching for his first Grand Slam quarter-final appearance outside of Roland-Garros. It was on the clay in Paris this season he reached his first Grand Slam final before falling to Nadal. But it has been slim picking since, winning just three of eight matches leading into the US Open. In a showdown between two of the biggest servers on the ATP World Tour, top American John Isner meets No. 25 seed Milos Raonic on Saturday for a place in his first US Open quarter-final since 2011. Isner holds a 4-1 FedEx ATP Head2Head record over the Canadian, including a win in this year’s Wimbledon quarter-finals. The US Open’s No. 11 seed rebounded from losing a marathon five-set epic to Anderson at Wimbledon to win his fifth BB&T Atlanta Open in six years. A former No. 3 in the ATP Rankings, Raonic is bidding to complete the career set of Grand Slam quarter-finals, having never won a fourth-round match in New York in three previous attempts. He saw off 2016 champion Stan Wawrinka in straight sets to reach the fourth round. Before the US Open began, Australian John Millman joined former World No. 1 Andy Murray for a practice session inside Arthur Ashe Stadium, the biggest tennis-only stadium in the world. After their hit, they tried launching 20 to 30 balls toward the scoreboard at the top of the stadium. The Budapest finalist had no luck, missing to the right. The 6’0” right-hander didn’t necessarily expect to be back on that court for a match at the year’s final Grand Slam. But now, that looks like a near certainty. 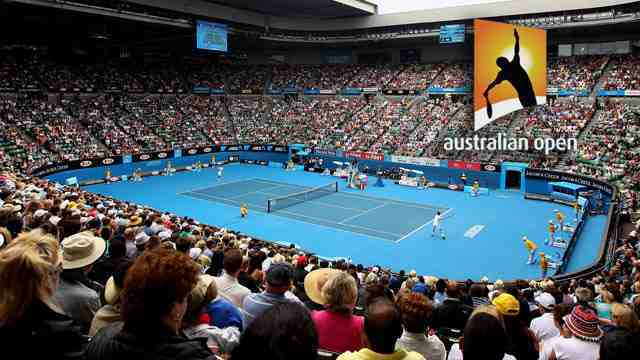 The Aussie defeated Kazakh Mikhail Kukushkin on Saturday to reach the fourth round at a major for the first time. His reward? A meeting against five-time champion Roger Federer. Millman was forced to withdraw from his first-round qualifying match in Cincinnati in August due to a back complaint, and he lost in the first round at Winston-Salem the week before Flushing Meadows. But adversity is nothing new for the 29-year-old. In a way, it’s been intertwined in his journey. Early on in his career, Millman underwent a shoulder repair and he would need a shoulder reconstruction in 2013. Last February, he underwent groin surgery. That latest operation was a devastating blow considering that in 2016, Millman had ascended to what was then his career-best ATP Ranking of No. 60. But like he always has, the Brisbane native has chipped away. Last October, Millman dropped to World No. 218. If nothing else, his focus was on his health, preventing injuries, and maintaining a strong diet. Less than 11 months later, he’s in the second week of a Grand Slam and poised to surpass his career-high ranking of No. 49. This comeback has been especially difficult, as the Aussie bases much of his game on his movement. And what does a groin injury inhibit? Movement. “I like to extend points and really use my legs to keep myself in the battle, and that’s tough. But really happy that I managed to get back,” Millman said. “I had a great surgeon, a great team around me that really helped me out and now I’m back here and playing some of my best tennis. It’s a satisfying feeling. When Millman takes the court against Federer on Monday, there will be a sense of pride, for sure. But the Aussie says that it’s not all about him. It’s about everyone who has supported him through his highs and his lows. He bears all of those people in his mind when he goes out to do battle, and Millman will try to make them proud. Millman has played the second seed once before, pushing the Swiss star to three sets in Brisbane three years ago. 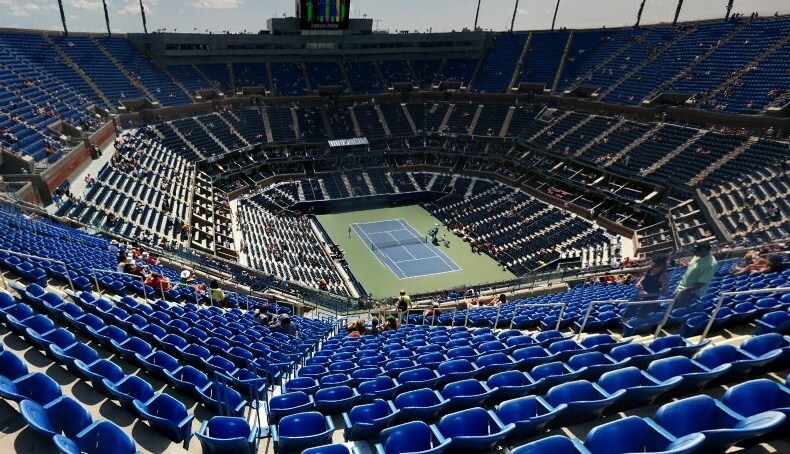 And if they are placed on Arthur Ashe Stadium, keep in mind that the last time Millman was on that court, he was thinking about launching balls toward the sky, not playing a match. “If you can get the win on Ashe and the adrenaline’s pumping, maybe you can touch it,” he said. It’s safe to say if Millman is able to shock the world and spring the upset of the tournament, he’ll certainly give it a go.